(National Pension System) — Orders issued. . In the reference 2nd read above, the Government of India allowed the benefit of 'Retiremen Gratuity and Death Gratuity' to the Government employees covered by National Pension System on the same terms and conditions, as are applicable to employees covered by Central Civil Service (Pension) Rules, 1972. Government, after careful consideration, hereby extend the benefit of Retirement Gratuity/ Death Gratuity to all the employees as mentioned in the G.O.Ms.No.653, Finance (Pen.I) Department, dated.22.09.2004, covered by the Contributory Pension Scheme (National Pension System) on the pattern applicable to employees governed by the Telangana Revised Pension Rules, 1980. These orders are applicable to those Government employees who joined Government service on or after 01.09.2004 and are covered by Contributory Pension Scheme and shall take effect from the same date i.e., 01.09.2004. 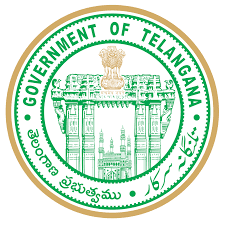 The necessary amendment to the Telangana Revised Pension Rules, 1980 and the guidelines for drawal of amounts as per this order will be issued separately.